Informal pedagogical discussion for anyone interested in TESOL, general education, and/or ed. technology. edited version (1) in http://piratepad.net/learning2gether-ltis13 . 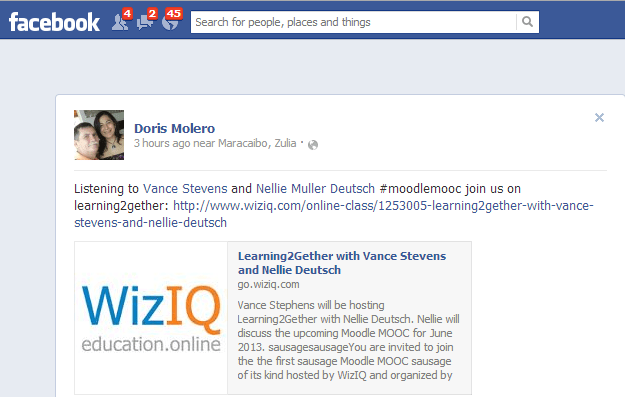 share, tag and discuss our bookmarks. Amara doesn’t process mp3 files any longer. tracks for the same language :D. And it’s become more bug-prone too. participants found hard to understand. 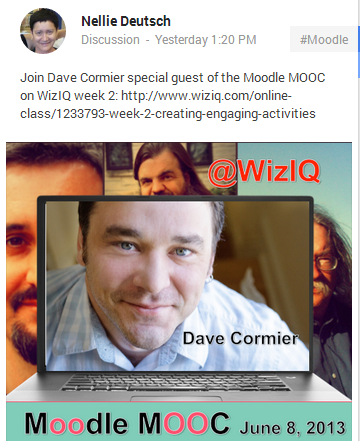 Thomas Hodgers writes: I was able to see and hear both you and Bryan throughout todays presentation Week 4: MOOCs & Ubiquitous Computing, but the Recording of the session has … no video or voice for Bryans presentation. I hope somebody was able to record everything! Nellie’s special guest for this session is Dr. Bryan Alexander (according to Nellie, accredited with coining the MOOC). Dr. Alexander will be discussing online learning vs. ubiquitous computing. How does learning change as we enter the era of ubiquitous computing? 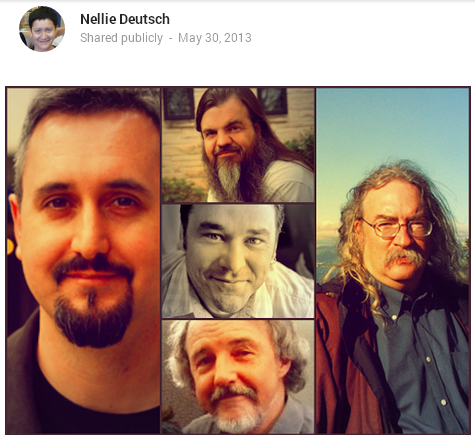 What does the MOOC furor tell us about emerging education? It is possible that we will have to rethink many aspects of schooling, from information architecture to academic labor. Institutional learning may suffer a classic economic disruption, or it may transform into a new, networked entity.In the presentation, Dr. Alexander and the participants will examine drivers of change, along with several possible futures. 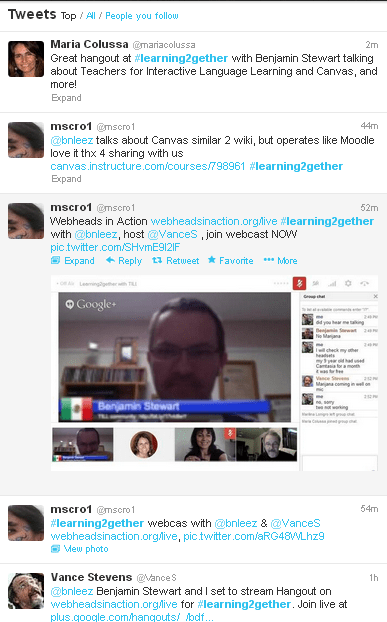 Learning2gether monitored a number of events taking place this weekend from Saturday June 15 to Monday June 17, 2013. Probably the most listenable recording was the one above, from Stephen Downes, being interviewed by Nellie Deutsch for Moodle MOOC on Saturday. Brought to you by Jeff Lebow’s courageous ENG317 students at Busan University of Foreign Studies, Jeff has adapted Hangouts to motivating his students to connect with native speakers and practice English online. In this event, we witnessed a delightful series of presentations by Jeff’s students, who bring a lot of creativity to the hangouts. 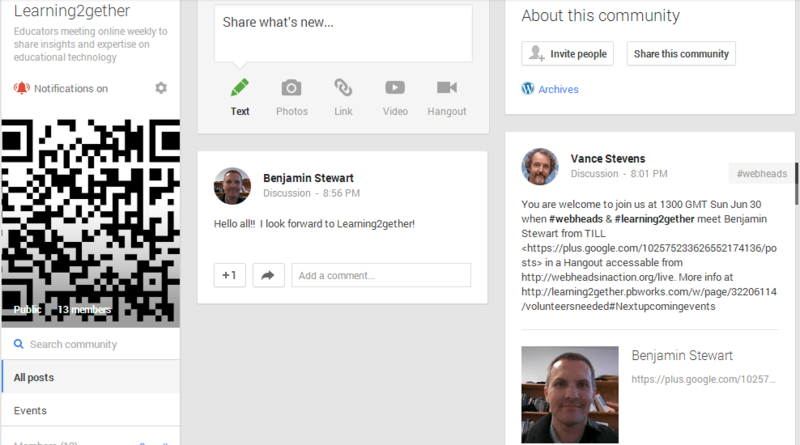 In response to announcements (on the Webheads list <http://groups.yahoo.com/group/evonline2002_webheads/message/30479> and on Learning2gether) Carol Yeager, Rita Zeinstejer, and Vance joined in the text chat in this session which coincided with time for Learning2gether. According to Jeff, the students have all consented to having their recordings posted online. Details about all English SOS segments can be found at: http://englishbridges.net/live. http://englishbridges.net/live and chime in with comments or questions in the text chat. Jeff and his students will be streaming live as well at the following time this week, and beyond that Jeff is hoping to expand the concept to include students worldwide. Location: http://tinyurl.com/cr20live (http://tinyurl.com/cr20live)Kim Caise, Lorna Costantini and Peggy George will be hosting another Classroom 2.0 LIVE show. As an extension to the Classroom 2.0 Ning community, Classroom 2.0 “LIVE” shows are opportunities to gather with other educators in real-time events, complete with audio, chat and desktop sharing. A Google calendar of upcoming shows is available at http://live.classroom20.com/calendar.html.Join us Saturday, June 15th, when Christiana Cantrill and Paul Oh of the National Writing Project, Paul Allison of the National Writing Council, and Karen Fasimpaur, will present ”Summer of Making and Connecting”. 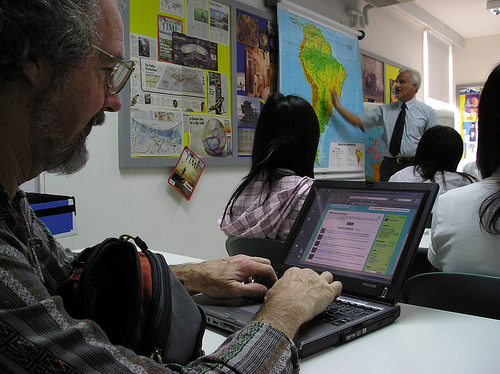 The team of presenters will discuss the use of writing and technology to make connections and collaborate with other students on global projects including, “Youth Voices” and the “National Writing Project”.More information and details are at http://live.classroom20.com. If you’re new to the Classroom 2.0 LIVE! show you might want to spend a few minutes viewing the screencast on the homepage to learn how we use Blackboard Collaborate (formerly Elluminate), and navigate the site. Each show begins at12pm Eastern (GMT-5) and may be accessed in Blackboard Collaborate directly using the following Classroom 2.0 LIVE! 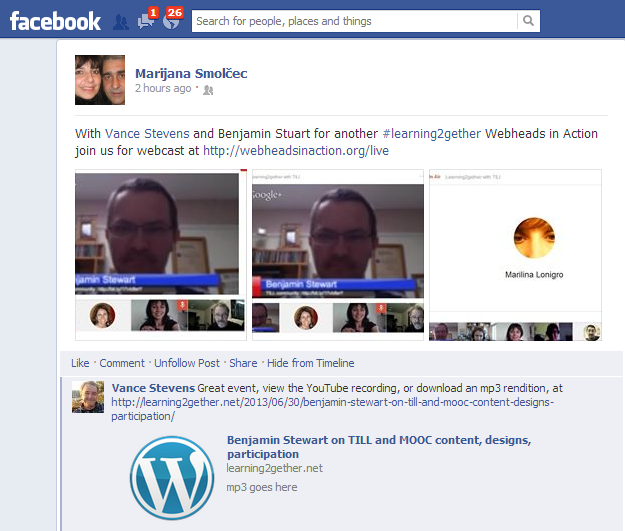 link at http://tinyurl.com/cr20live.On the Classroom 2.0 LIVE! site (http://live.classroom20.com) you’ll find the recordings of previous sessions. Ana Cristina Pratas and Vance Stevens discuss Future of Learning in a Networked World in light of Cristina’s recent experiences in Nepal. Cristina shared with us how her involvement in schools in Nepal began and her insights on the risks and demands of doing voluntary edtech training in developing counties. 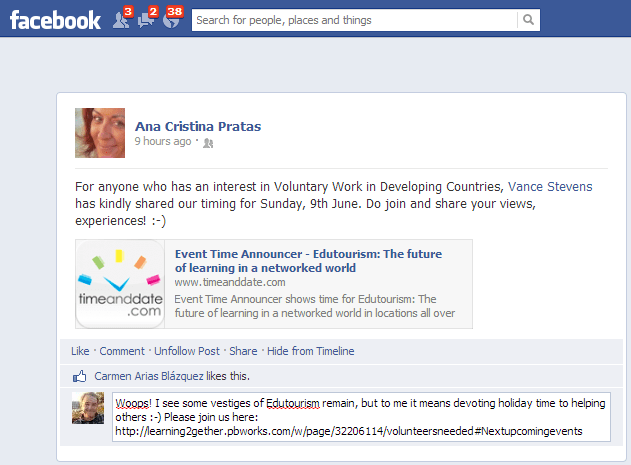 If you have served as a volunteer in developing countries, or if you are interested in the concept, please join the discussion. From Maria, Women of Wiki, Cochin City: https://www.youtube.com/watch?feature=player_embedded&v=NNu-_erjK6U#! BaW (Becoming a Webhead; http://evosessions.pbworks.com/w/page/61740277/2013BaW) are an ongoing EVO session <http://evosessions.pbworks.com> that take on topics from time to time between EVO events each January. In this scheme, June 2-9 is dedicated to Twitter; e.g. 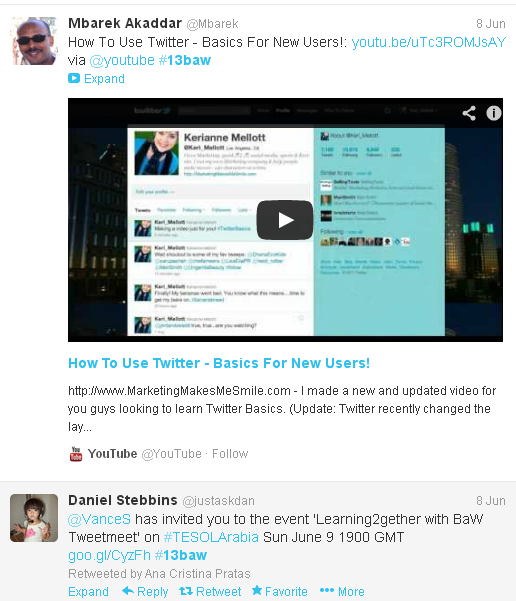 A Tweetmeet is where users of a common #hashtag communicate synchronously on Twitter.